Does Suffering Really Make You A Better Person? In this show Katrina explores this question and offers some different perspectives on the power and the purpose of suffering. It may just change the way you think about suffering and give you some relief and understanding about why suffering is present in every singe persons life. 3 steps you can take to change the way you are feeling about yourself, your life and relationships. In this show Katrina draws form her understanding about the way the mind works and energy works to ​share with you 3 simple life changing steps you can begin today. On today’s show we will be exploring the simple steps that you can take when you have that “urrgh… I dont like my life this way..” moment. Join with me live or pick up the podcast later on OM TIMES Radio. Why do we have them? And What can we do about them? In this episode Katrina Cavanough will be drawing upon her own experience as therapist who has worked with people for over 20 years. Intrusive thoughts are much more common than people realise and in today’s show Katrina will explore with you why we have them and what you can do to understand and address them. While working with hundreds of deaths, I was shown that there is more to us than body, mind and soul. There is a fourth field of energy. This fourth dimension of ourselves holds a center point at the core of our being and then radiates out into infinity. I have come to refer to this fourth dimension of ourselves as my (or your if I am speaking with you) powerful spirit. In today’s show Katrina explains how we can connect with your own powerful spirit and the changes that are possible when we do. In the busy-ness of life we can forget to rest. Well I do anyway. Today’s show is all about the healing power of rest – physically, emotionally, psychologically and spiritually. Katrina will be discussing the signs that rest is needed and there maybe some surprises there for you. Katrina will share with you the steps you need to take to effectively experience REST, shift your focus and empower your life. In addition to giving us life; water has been used over time for many sacred healing rituals and ceremonies. Mystics throughout the ages have and utilised the energetic properties of water. There are so many ways that water can bring a sense of peace and calm to your life. Whether it is a warm shower or just simply looking at the waves crashing onto the shore – once you feel a connection with water it can nourish your mind, body and soul. Water can also be an essential ingredient in your spiritual practice. Metaphysically it clears, nurtures and sustains all that it touches. It is powerful and when you know how to enjoy its energetic essence then it will enrich your every day spiritual practice. 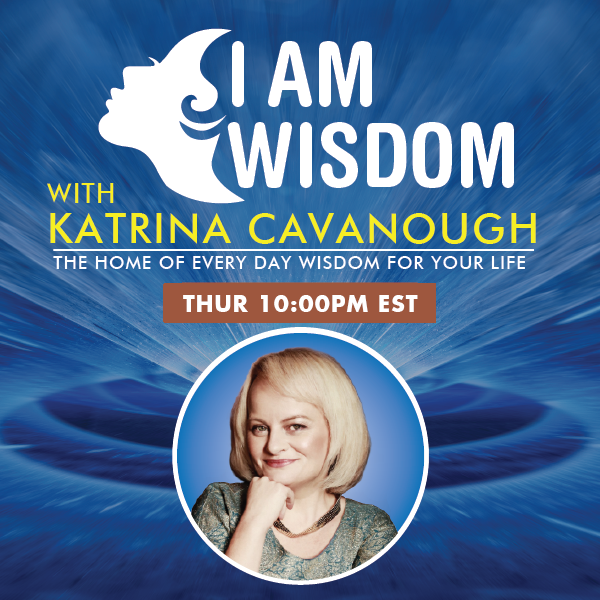 In today’s show Katrina Cavanough will be sharing with you 4 ways you can get started on working metaphysically with the power of water. Many of our relationships can feel dramatic. Sometimes it can feel like you are like a leaf being blown about in a windstorm. It does not have to be this way and on today’s show Katrina will be sharing with you how to break free of the drama in your life; and have more balance and peace and yes happiness in your every day life. If this was your last day on earth, how would you like to live it? We all believe that we are here to live a long life. Surely, we get at least three score and ten! My experience with over 400 deaths in a busy Emergency Room, showed me that death can happen at any time. We truly do not know when our last day will be. As scary as this can be, I always invite my clients to flip this realization from a place of fear to a decision to embrace this fact and create a meaningful life. On today's show we will be talking about the steps you can take to build meaning into your life. Looking forward to sharing this hour with you! !